The main focus of theoretical models for machine learning is to formally describe what is the meaning of learnable, what is a learning process, or what is the relationship between a learning agent and a teaching one. However, when we prove from a theoretical point of view that a concept is learnable, we have no a priori idea concerning the difficulty to learn the target concept. In this paper, after reminding some theoretical concepts and the main estimation methods, we provide a learning-system independent measure of the difficulty to learn a concept. It is based on geometrical and statistical concepts, and the implicit assumption that distinct classes occupy distinct regions in the feature space. In such a context, we assume the learnability to be identify by the separability level in the feature space. Our definition is constructive, based on a statistical test and has been implemented on problems of the UCI repository. The results are really convincing and fit well with theoretical results and intuition. Finally, in order to reduce the computational costs of our approach, we propose a new way to characterize the geometrical regions using a k-Nearest-Neighbors graph. 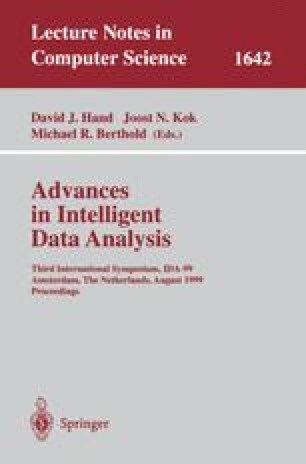 We experimentally show that it allows to compute accuracy estimates near from those obtained by a leave-one-out-cross-validation and with smaller standard deviation.